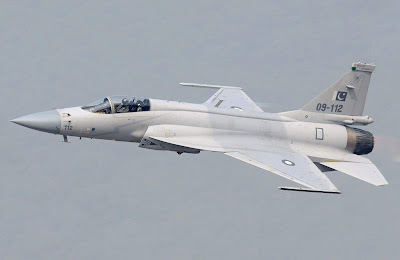 Majority of Pakistanis (57%) believe Prime Minister Imran Khan's government is doing either a “very good job” (17%) or a “good job” (40%) so far, according to an IRI survey conducted on behalf of the Center for Insights in Survey Research. Data was collected between November 1 and November 22, 2018 through in-home, in-person interviews. The sample consisted of 3,991 respondents aged 18 and older and is representative of voting-age adults nationally. The margin of error was 1.6%. A combined 56% approve of the PTI government. 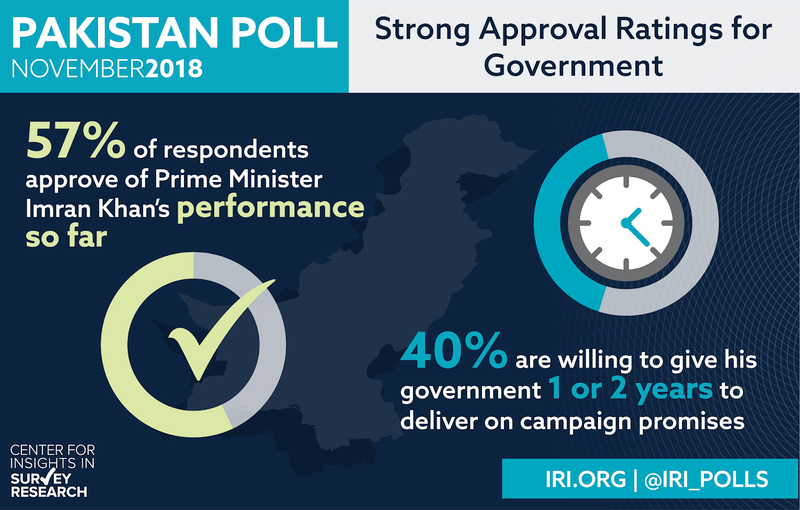 A plurality of respondents (40%) said that they are willing to give the government time to deliver on campaign promises. “The survey suggests that the government’s performance will be judged primarily on its ability to address pressing economic concerns,” said Johanna Kao. Inflation was singled out as the most important problem in Pakistan (39%), followed by poverty (18%) and unemployment (15%). Nearly 77% of respondents between the ages of 18 and 35 see the lack of jobs as the biggest challenge facing young people in Pakistan. 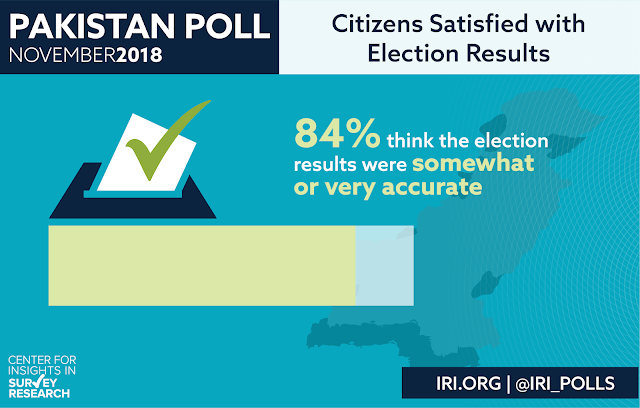 The poll also indicates high levels of confidence in the results of the July 2018 national elections. A clear majority (84%) say that the election results are either “very accurate” (46%) or “somewhat accurate” (38%). A combined 83% believe that the election was either “completely free and fair” (50%) or “mostly free and fair” (33%). The first independent poll conducted by an international organization shows that the majority (84%) of Pakistanis have confidence in the 2018 elections that resulted in PTI's victory and put Prime Minister Imran Khan in the nation's top elected office. Majority (57%) say that the new government is doing either a “very good job” (17%) or a “good job” (40%) so far.